← I built a cajon! 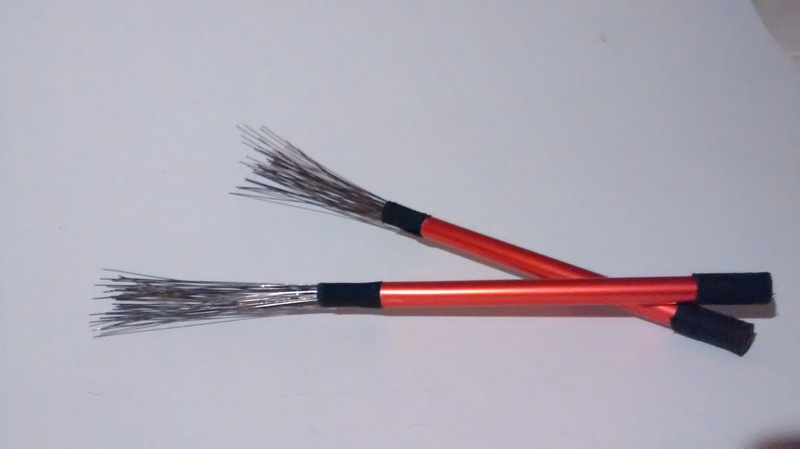 I made these prototype wire brushes! They’re made from derailleur housing with the plastic casing stripped off, and the handles are a cut-down aluminium tent pole. The hockey tape is just for grip. They look pretty good, but I think they might sound better with longer wires. I’m not a percussionist at all, though, so really who knows. This entry was posted in Music, Stuff I made and tagged bike parts, drums, drumsticks, music, percussion, recycling, repurposed, wire brushes. Bookmark the permalink.